The purchase was finalised last month during a visit to Vietnam by French President Francois Hollande. VietinBank, Vietnam's second-biggest listed bank by market value, has signed a USD117 million credit agreement to fund Jetstar Pacific's purchase of Airbus A320 aircraft, the carrier said on Tuesday. 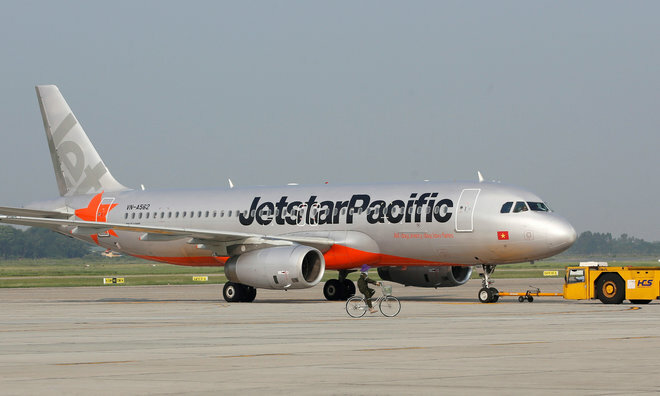 Jetstar Pacific, 70% owned by flag carrier Vietnam Airlines and 30% held by Australia's Qantas Airways, will take delivery of 10 of the European aircraft maker's A320s in 2017, Jetstar Pacific Chief Executive Officer Le Hong Ha said in a statement. The purchase, worth about USD1 billion at list prices, was finalized last month during a visit to Vietnam by French President Francois Hollande.